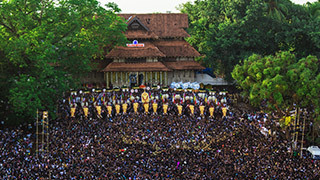 The oldest pooram (temple festival) in all of Kerala, the Arattupuzha Pooram is held at the Sree Sastha Temple in Thrissur for a period of seven days each year. 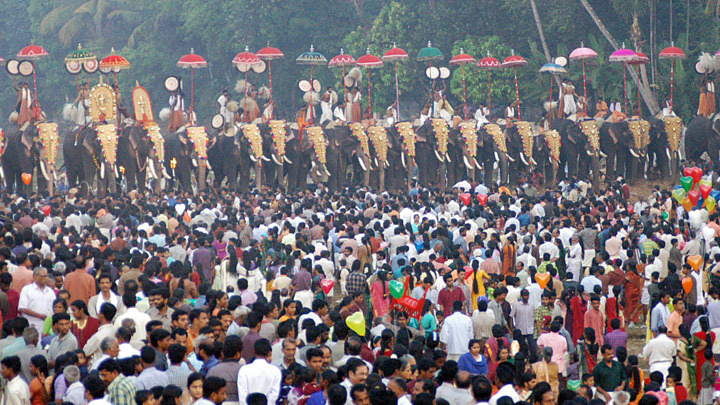 Believers say that at this 'conclave', all Gods and Goddesses gather during the time period of the Pooram. As many as 23 deities from different temples in Thrissur are brought here and worshipped which makes for a stunning visual in itself. 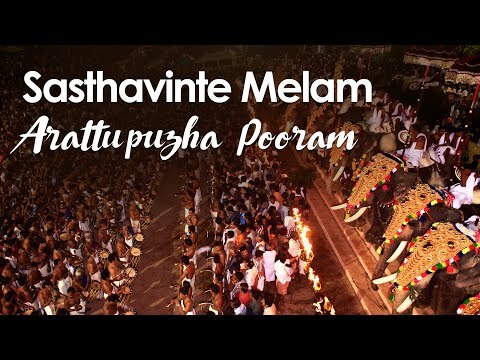 Known as the ‘Mother of all Poorams’, its festivities are among the finest seen in Kerala as they represent such a wide variety of traditions from around the State. Mighty elephants with their mahouts can be seen walking through the streets while the beats of the chenda (drum) and Kuzhal (wind instrument) dictate the pace of the crowd. Wave upon wave of people stream around the place with an assortment of folk art performances taking place simultaneously. The panthal set up during the festival are ornately decorated and make for a riveting sight. The final ceremony which involves the immersion of the statues in the river is an extremely solemn occasion in which one can sense the magnitude of the event that has just concluded. 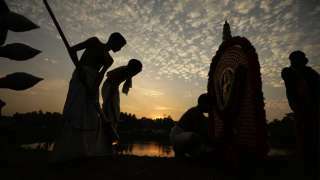 Arattupuzha Pooram - one of the world’s oldest temple festivals!